We can help your organization achieve success in employee wellness while improving your bottom line. Are claims on the rise? Let us help you take control of your injury rates, absenteeism and employee wellness. Briotix Health combines tools, science and technology from the fields of employee health, ergonomics, physical medicine, data science, and organizational design to address and prevent employee injuries, help them get back to work and reduce the individual, organizational, and societal costs of musculoskeletal disorders. Over one million employees supported. We are constantly improving benefits to employees and productivity through our R&D efforts. Workers Compensation Managers, Human Resources, Risk Managers and Operations can show cost savings and employee benefits with Briotix Health programs. We work with Fortune 500 companies all the way down to a single office. From offshore oil rigs, to world wide office locations and highly sensitive clean rooms – no job is too hard. A technology enabled partner for your business, reaching your workforce with more effective tools. "Excellent relationship initial program has been modified and adapted to other chain groups/distribution staff. Once up–we were able to take a look at it, and worked with Briotix to tweak… they were very flexible, and worked with our needs in mind." "The training and prevention work done by Briotix has significantly increased employee awareness of proper body mechanics, resulting in fewer strain injuries overall. The early intervention efforts by the Briotix therapists dramatically improved employees’ conditions in several cases, thereby lowering both the frequency and severity of strain injuries. The therapists’ consistent follow-through with ergonomic projects in our manufacturing areas and our offices has been a great supplement to our own efforts." 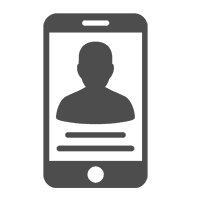 "Briotix has been a wonderful asset to our organization. The therapists are fantastic. They integrate into our work culture, are well accepted by our employees, and are an excellent resource for management." "Preventive care is so important. We don’t want to wait for an injury to occur when we know we have tools and systems available to us such as Briotix to help prevent injuries. Why wouldn’t you want to participate in having that prevention in place? In the last year, we have not had a single injury in the housekeeping department." "After evaluating several vendors, Parsons teamed with Briotix to implement Workstation Safety Plus and PACE. Within a year of implementation, Parsons was able to evidence a 50% reduction in injuries and a 75% reduction in associated injury costs. Needless to say, our executives were very pleased with the results." "Briotix’s ability to adapt to the unique environment we work in has made the program very successful. Our therapist has adapted very well to our corporate culture. 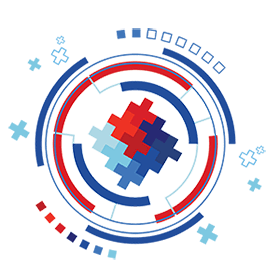 We couldn’t be more pleased with how Briotix has significantly decreased our injury costs and frequency, and how our employees have responded to the working relationship we have with Briotix." "I want to thank you very much for the excellent training you conducted at Progressive over the last two days. It was energetic, interactive, informative, right-on ergonomic training! The team was engaged, learning and having fun! I thought it was a great balance between the book-learning and valuable interactive activities. You supported our bringing this group together to move Ergonomics forward with strategies in place for a newly formed team. We all benefited from this experience. Thank you sincerely and be well." "We have worked with Briotix for several years with both an onsite physical therapy program for our workers’ compensation claims, and with a prevention program. 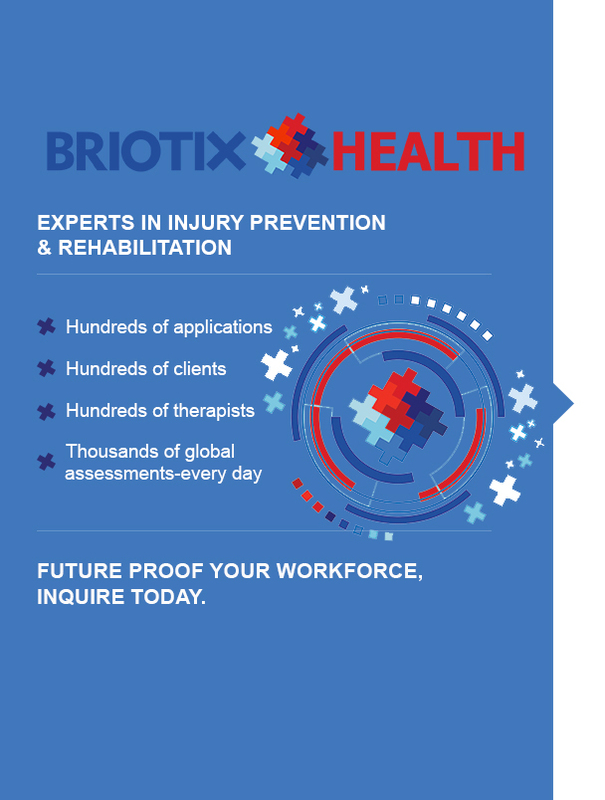 Briotix has been very responsive and partnered with us as we expand our prevention program and look for new ways to prevent workplace strains and sprains."